Hi All! I'm here today to show off this really awesome sentiment die by #KatScrappiness, one that I know I will use a lot! There's nothing else like it out there and I have so many crafty friends. What a perfect sentiment when I want to make them a card! I multi-layered the die and glued it together with a black cutout right behind to give it a shadow. I also copic colored it in the 5 combinations you see on the paint pallete! KatScrappiness Hello Crafty Friend Die - click to shop! And I also used this wonderful stamp set by WPlus9 called "Color My World", which you can also purchase the matching dies. I finished it off by adding a couple of cute enamel dots by Doodlebug "Matte Sprinkles"
Thanks for visiting, leave me a comment to let me know you've been here! 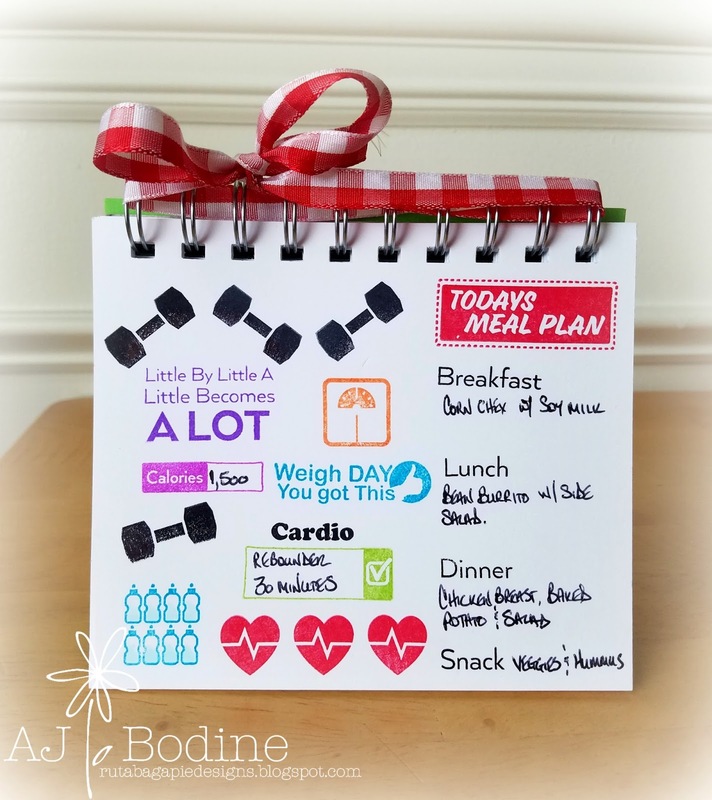 Hi everyone, I'm here today showing off this really cute Diet and Exercise Planner set by JustRite. I used this set to make a cute little reminder full of my goals for each day. It sits right here on my desk and I love looking at it. By making it fun and colorful, it serves as a fun reminder to eat healthy, exercise and drink my water every day! Check out the set below, I've linked it so you can visit JustRite's shop! Thanks for visiting, I hope you have a great, healthy day! JustRite Planner Diet & Exercise Stamp Set - Click Here to shop! Oh hi again everyone..a quick shaker card to show off these awesome Scalloped Square Frames by Gina Marie Designs and this gorgeous sequin mix by KatScrappiness called "Barbie Mix". Both linked below for your shopping convenience. Gina Marie Designs Scalloped Square Frames - click here to shop! Katscrappiness.com - Barbie Mix Sequins - click here to shop! Hi Everyone, here to show off the new Sun Petal Plate Die by Gina Marie Designs...I've linked below so you can head over and pick one up for yourself. All of the dies I've used on these 3 cards are by Gina, including the pineapple, flower and the prayers sentiment. I love the versatility of this die! Hello and happy Sunday! 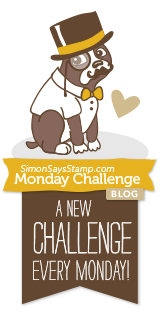 Today I'm showing off a few dies by Gina Marie Designs. The Wonky Stitched Frames and the Scalloped Circle Frames! Wonky Stitches 4 Layers - click here to shop! Scalloped Circle Frames - click here to shop! I created this little scene using a new set by #MFT called "I'm Tweet On You", I love that tree branch and the little birdies :) The cards stock is also by MFT in the Sweet Tooth and Sno Cone colors. Images colored with Copics. MFT I'm Tweet On You - click here to shop! Hello everyone! Today I'd like to introduce you to a few of the new planner sets from JustRite Papercrafts! I'll admit, I don't use my planner often enough. However, I am a list person..so these stamps really appealed to me. I created a little planner notebook for myself and used it all last week. Not only was it fun to create, it was fun to look at sitting on my desk and it did help keep me organized. I think I might be on to something! Shop JustRite Papercraft - click here! Happy Saturday everyone..I'm goofing off for a bit getting this blog post done this morning. I've got real work to do all weekend, so this is my calm before the storm..but I've got hot coffee, so I'm good! 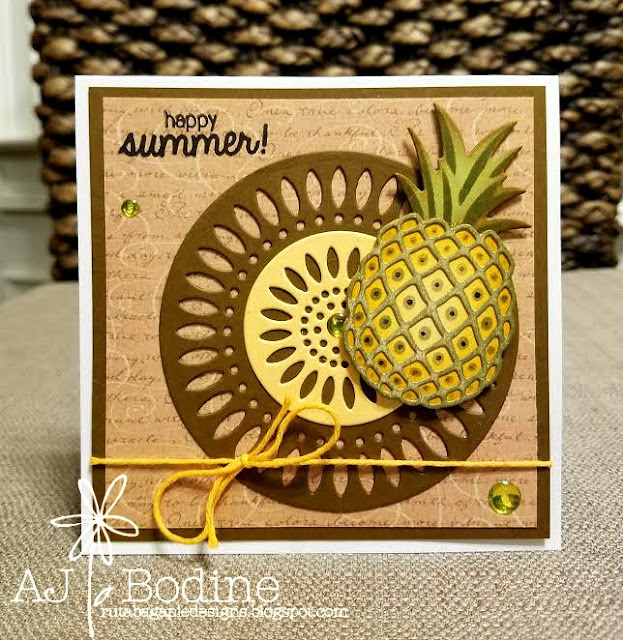 I'm introducing a new die in Gina's line this morning, this GORGEOUS Layered Pineapple Die! It's a 3 piece set and there's so much you can do with it! This is just one look, because Gina has desinged this where you can ink in your detail. Do you see what I did on the leaves at the top, that's a stencil effect. You can also do that on the fruit using the holes in the die. So once cut, don't removed the cut piece, ink it up while it's still in the die! The sentiment is by Technique Tuesday and the cool background paper is Bo Bunny! The sequins are by KatScrapiness, 6mm Buttercup! These are the 3 Gina Marie dies I used to make this card, click on the link to shop! Thanks for stopping by and have a great weekend! 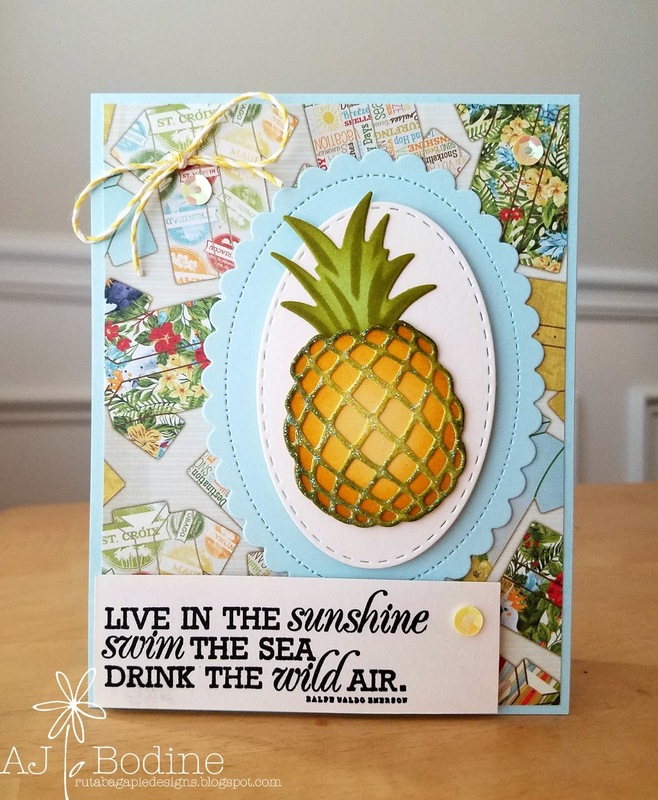 I'm back with a second card using the same "At The Beach" clear stamp set from JustRite Papercraft. I just loved these underwater plants and creatures, I wanted to pair them in a simple distressed underwater scene. I just love the artwork of the stamps and the lovely sentiments too. JustRite Papercraft At The Beach - and some fun news to share! Hi everyone, I have some really big news! I've been invited to join the Design Team over at JustRite Papercraft! I couldn't be happier about being part of this talented team, working with their high quality products! 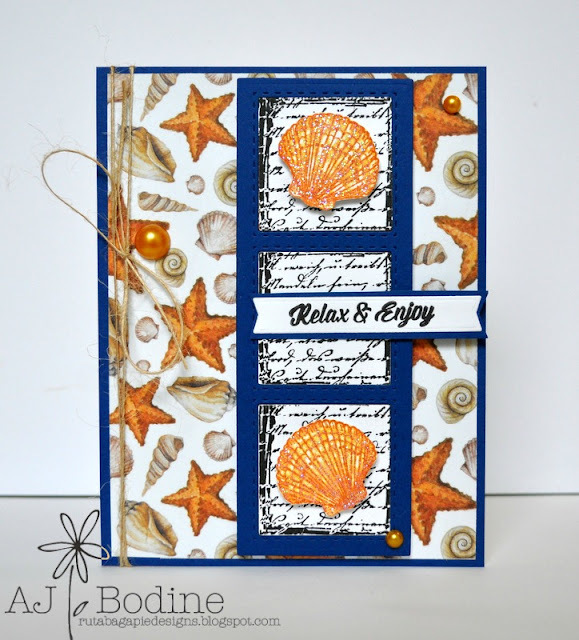 So, without further delay...today I'm using a stamp/die set from their new release called "At The Beach". I paired them with the "Three in a Row" dies and finished off with some pretty May Arts Twine and Bo Bunny pearls. The shell paper is a recent purchase from my local scrapbook store, Scrapbook Creations in Spartanburg, SC..but unfortunately, I do not know who makes it. All products are linked for your shopping convenience! Thanks for stopping by, I look forward to reading your comments :) Have a great day! Gina Marie Designs Stitched Sky Dies + Distress Ink Video Tutorial! !! !Winner Picked!!! "AJ, great video! Love the card and all of the tricks you shared! Hope to see more videos!﻿"
Thanks to everyone for commenting both here and on my YouTube channel! Hi everyone! I'm here today, showing off a card I made using Gina Marie Designs Stitched Sky Die set! And here's my first ever Youtube video showing how I created this gorgeous distressed sunset background! Leave a comment HERE OR AT MY YOUTUBE CHANNEL to be entered to win a $10 voucher for Gina's shop! Winner will be chosen 6/17/16. Gina Marie Designs Scalloped Stitched Circles Shaker Card! Hi everyone! Coming to you today with a shaker card, using Gina Marie Designs Scalloped Stitched Circles and KatScrapiness Ocean Mix Sequins (links below). Background paper is by Bo Bunny - Beach Therapy 6x6 paper pad and the cute blowfish stamp by A Jillian Vance design was from a set called Bubble Your Troubles Away. Sadly is retired, but there are so many fishy stamps out on the market right now, it will be pretty easy to make a shaker of your own! Aren't these the prettiest scalloped stitched dies? There's a link below to shop, only $10 for this lovely set over at Gina's shop! Before I tell you about this hop, I'd like to mention my mother in law Vena, who is currently battling breast cancer. She has had a mastectomy a few weeks ago and is feeling good. Now she's preparing to begin 10 weeks of chemo over the summer. After a routine mammogram, it was discovered that she had a lump. Because this is a rapid spreading cancer, without that early detection, her survival chances would have been so much less. So, make sure you get checked! 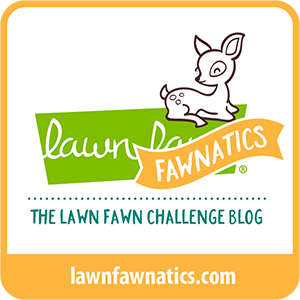 Hello, today I'm happy to be a part of this amazing hop, this is day 7 of a 7 day event! 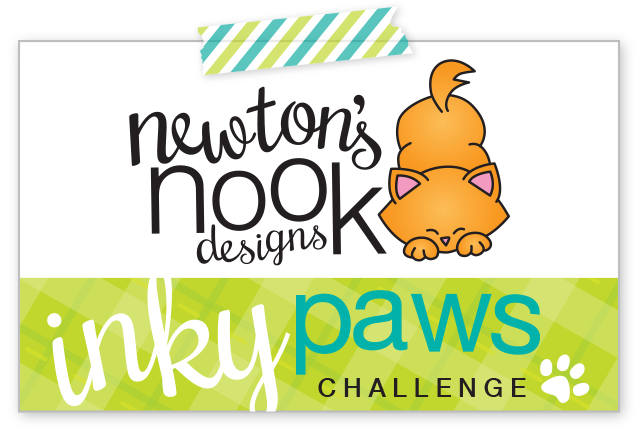 All of the money raised through the silent auction, on our blogs, will be donated to the Susan G. Komen foundation, via the coordination of Heather Timmins and friends from Skipping Stones Design. Not only are ALL the cards and projects up for auction but Skipping Stones DesignSkipping Stones Design is also donating $2 to the cause for every stamp set sold during June 1st-14th. 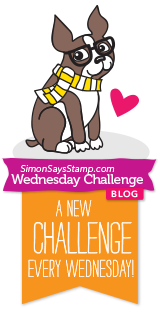 SSD is celebrating "Blogs 4 Boobies" with the release of 6 ALL NEW Stamp sets. You can shop here. You can also help by bidding on any project in this hop, make sure you tell your friends! In the comment section below, fill in the dollar amount you'd like to bid on my card and include your email so I can contact you if you've won. We recommend a starting bid of $5 or more. Remember your bid includes shipping as well as the card. 100% of the money your bid will go to the Susan G. Komen Foundation. Thank you for your generosity! Once you have entered your bid/comment sit back and wait. If someone out bids you then you may bid again. Bidding will continue on my card until 8:00 p.m. Mountain time June 8. The "Winner of the Auction" Will be the highest bid (that includes an email address)in the comment section of the MOST RECENT blogs 4 boobies post at the end of the silent auction. Please note that ALL cards/projects WILL BE REPOSTED seven days after their initial post. MY auction will end at 8:00 p.m. Mountain Time June 8. What Happens if you win my auction? Once the winning bidder pays via PayPal and I receive notice from Skipping Stones Design I will ship your card to you. That is how you stamp out cancer!! Here is the list of other Bloggers Posting their cards for auction today.